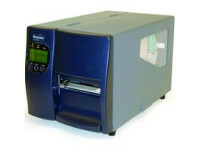 With its compact form factor and rich feature set, the Intermec® 730 color mobile computer is ideally suited for a variety of data collection tasks. Building on the standards set by the highly-flexible and configurable 700 Color Series, the Intermec 730 delivers a targeted set of features at a very attractive price. 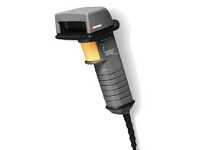 The Intermec 730 extends the successful 700 Color Series, providing a compact, durable unit equipped with local area and personal area wireless radios, as well as a revolutionary linear imager that delivers high-speed barcode reading performance. Ideally suited for in-premise environments, the Intermec 730 is also equipped to handle the rigors of outdoor use. 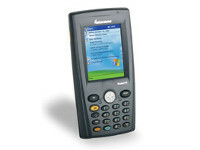 The Intermec 730 provides a sharp color display that is easy to read in all lighting conditions, including sunlight. 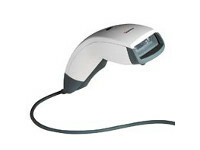 The numeric keypad and touch screen facilitate data entry. 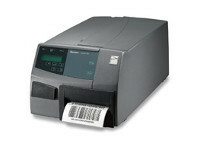 Like all Intermec mobile computers, the Intermec 730 is a fully integrated system. The radios and imager are incorporated into the basic product design, ensuring maximum performance and years of trouble-free service. The Intermec 730 is tested to the exacting standards of the Intermec Reliability Labs to provide you with a system tough enough to handle the daily rigors of your frontline business. Whether your application is standalone, client-server, browser-based, or terminal emulation, the Intermec 730 is the right tool for the job. 4 mil (0.1mm) 3.7 in. 12 mil (0.3mm) 1.8 in. 20 mil (0.5mm) 1.7 in.